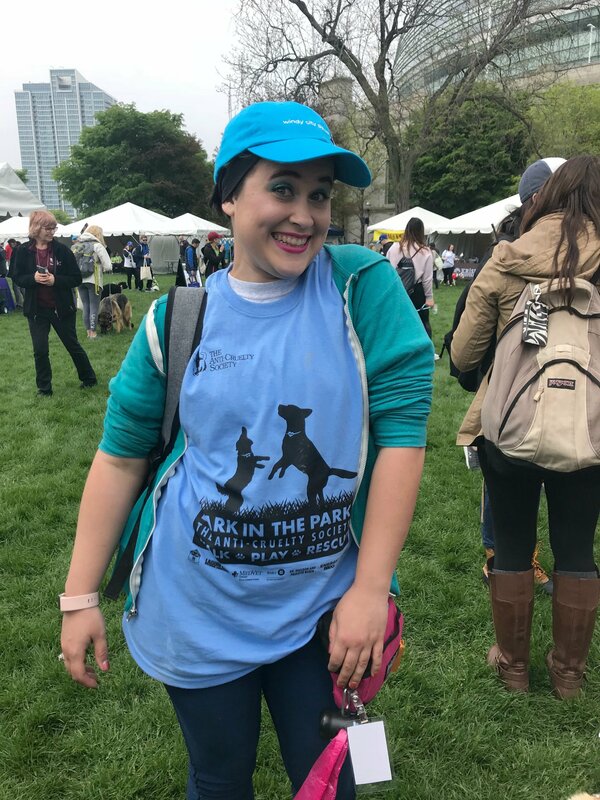 The Windy City Paws staff had so much fun volunteering at Bark in the Park on May 19, 2018! 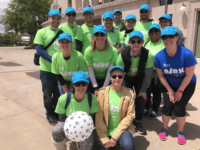 Read on to see what this event is all about! 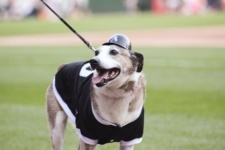 The Anti-Cruelty Society is Chicago’s oldest and largest private, open-admission animal welfare organization. 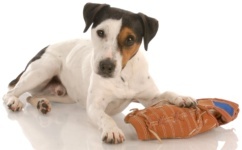 It has been helping pets and educating the community for more than 119 years! 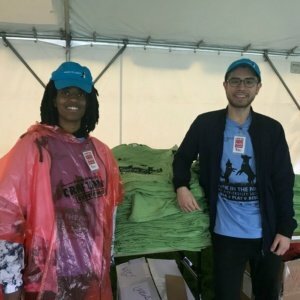 Our Walker Coordinator Alex and our walker Paige were at the registration tent helping everyone who needed their event T-shirts! 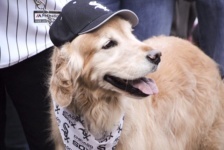 Bark in the Park is The Anti-Cruelty Society’s single largest fundraising event of the year. 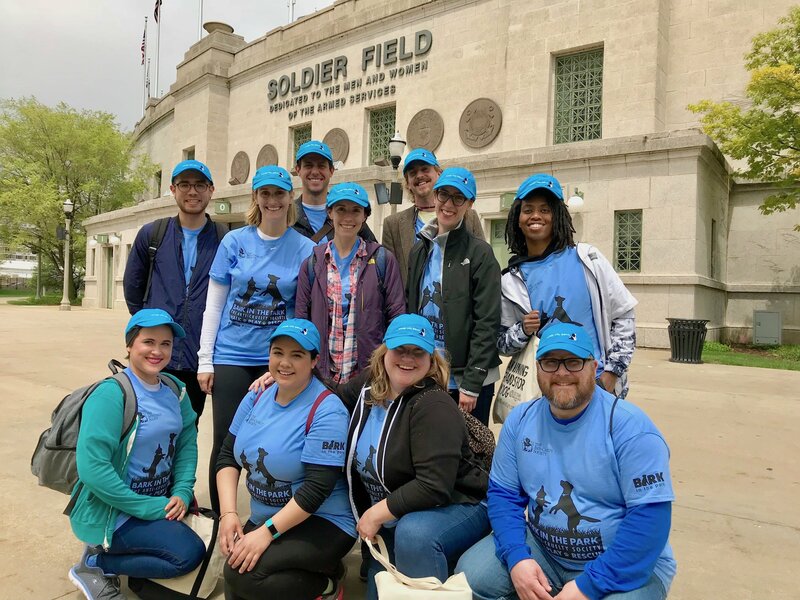 2018’s event was held at the Stadium Green at Soldier Field on a beautiful and sunny day to mark its 24th year! 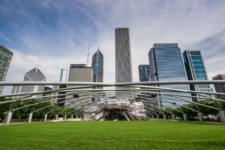 This important fundraiser was the first pet-friendly event held in Chicago, and with more than 3,000 participants, it is one of the largest as well! 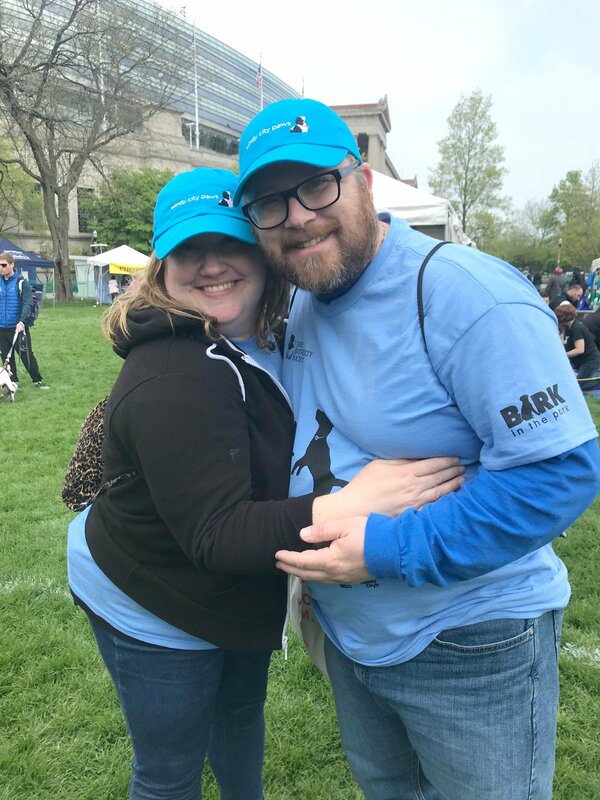 Our walker Lia and her fiance´ Chris ready to cheer on all the 5k runners and walkers at the finish line! Our walker Emma Jo who met so many pups at the 5k walk finish line! 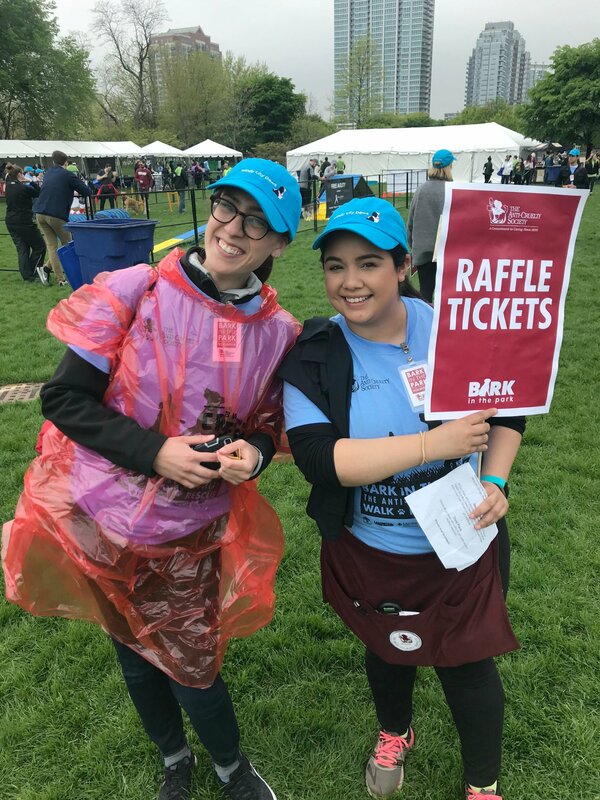 Our walker Kenzie and Marketing Coordinator Xochitl had so much fun on the Raffle Team! 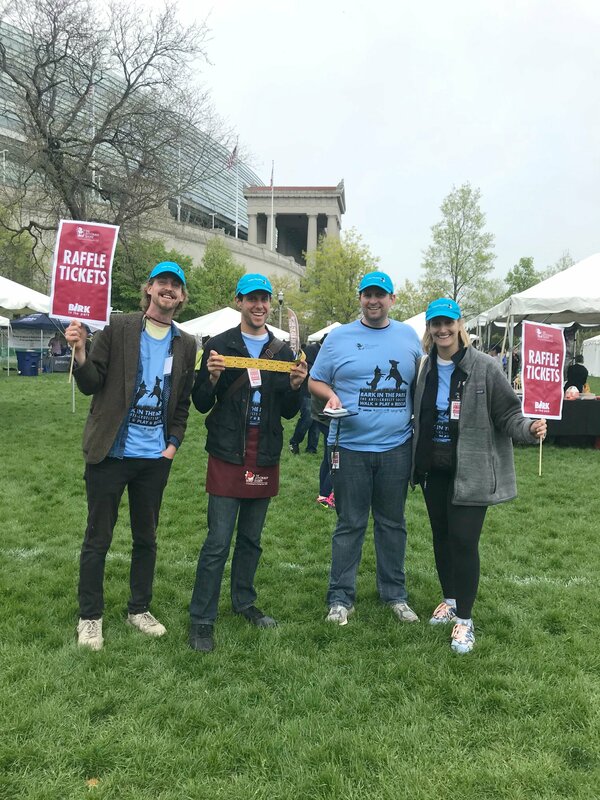 Our walkers Brenton and Gary along with our owner Katie and her husband John having a blast on the Raffle Team! Pictured Above: Alex K., Katie P., Gary F., Sarah F., Brenton P., Kenzie L., Paige B., Emma Jo S., Xochitl C., Lia R., Chris D.